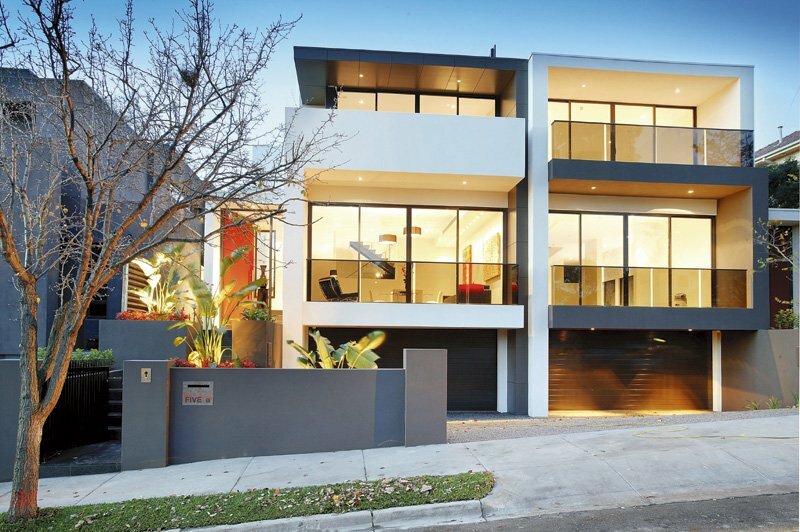 It is the Australian dream to own your own luxury home. But with the growth and expanse of de-urbanization, it is no surprise to see that narrow blocks at the way of the future. Even in the case of older, prestigious suburbs, smaller blocks are becoming more common. So here are our top 3 tips for maximizing the use of your land. 1. Clever Floor plans for Maximizing Your Land! Working with a leading architect or design-builder will help you make the most of your land. Clever designers can create a floor plan that maximizes every square meter of your land. With smart planning, you can make a smaller space feel as spacious as a larger home. Even with narrow frontages and small subdivision, having the right floor plan means you can have the home of your dreams. It is all about making your space work hard for you. Knockdown-rebuild projects are becoming incredibly popular. This is especially the case in older suburbs where blocks of land are larger. Knocking down an older house means you can rebuild two or more homes in its place. Savvy homeowners can make the best use of their space to not only downsize into a more manageable home, but also profit off the leasing of other properties on the land. You can stay in the suburb and space you love, while taking advantage of new technology and building techniques – and make money in the process! Further, not only they are cost-effective, but it allows you to create a smaller carbon footprint, functional homes and long-lasting builds. Landscaping and excellent interior design can make a smaller home more spacious. By creating a strong connection between outdoor and indoor spaces you can expand your living and entertainment options. Designing homes around light wells and solar access mean you can create the perfect living spaces, suited to your lifestyle. Landscaping creates unique and defined spaces, blending well with indoor living in order to create a feeling of movement and spaciousness. Like clever floor plans, well thought out interior design and landscaping enhances your home environment and the sustainable qualities of your block. Virgon offer free site consultations to discuss your new home project. We can assess the orientation of the block and its possibilities to make the most of your space. Our talented, in-house architects create smart, architectural designs and adaptable living. If you would like to find out more, please contact us today on (03) 9819 9109.